Trump Took a Dagger to Obamacare. Can It Survive? 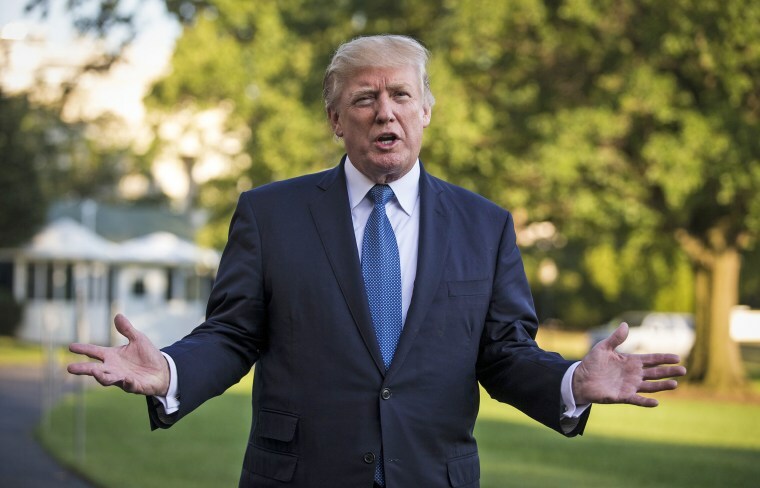 WASHINGTON — President Donald Trump's decision to cut off payments owed to insurers, known as cost-sharing reductions, has sweeping implications that could upset insurance markets and sets up a major debate in Congress over how to respond. But the effects are also complicated and sometimes counter-intuitive (cutting off CSRs might lower some customer premiums, for example). There are big questions about how insurers, states and Congress will respond. Here's what you need to know. The CSR payments were created under the Affordable Care Act, popularly known as Obamacare, and reimburse insurers for reducing out-of-pocket expenses for customers making up to 250 percent of the federal poverty level (about $61,000 for a family of four). Obamacare requires insurers to cover these expenses regardless of whether or not their reimbursed, however, so qualifying customers can still receive the same benefits even after Trump's decision. Why did Trump cut them off? The payments are the subject of an ongoing lawsuit by House Republicans, who argue Obamacare did not properly authorize them. The White House said they reached the same conclusion and decided to abandon them as a result. The debate over CSRs was extensive and long-running and conservative legal experts hailed Trump's announcement. But the move also fits a broader pattern of actions by the administration that seem aimed at deliberately undercutting Obamacare's insurance markets. The way in which Trump went about his decision on CSRs came at a critical moment after months of ambiguous statements and seemed designed to throw gasoline on the fire. Insurers had just finalized their premiums for 2018 and right before customers begin enrolling in plans on Nov. 1. That limits their ability to respond, along with state regulators, and adds more confusion for customers as well. "The timing of this really could not have been worse for the stability of the market," said Larry Levitt, senior vice president at the Kaiser Family Foundation. The Congressional Budget Office, the nonpartisan agency that examines legislation, looked at the question in August. In a report, the CBO predicted insurers would spike premiums by 20 percent in 2018 and that some would exit the market entirely rather than deal with the resulting mess, leaving about 5 percent of Americans in a county with no individual plans at all. While Trump has called the payments a "bailout," dropping them would also increase deficits by $194 billion more over the next decade. That's because Obamacare's subsidies rise to meet the higher premiums. The CBO report assumed Trump would make his announcement before insurers finalized their rates for 2018. That moment has passed, but insurers in most states already raised their rates based on the assumption that CSRs would not be paid out. In some cases, the state's insurance regulators insisted they do so. But in at least a dozen states, insurers priced their premiums while betting that CSR payments would continue as usual. That puts them on the hook for potentially major losses and the same CBO report predicted some of them would ditch the market mid-year, perhaps leaving people with no other options, in response. For states and insurers, their next steps are tricky and legal fights are already starting. Insurers could try to force state officials to let them raise premiums past the normal deadline. They might try to get out of the contracts they just signed. On Friday, Attorneys General in 18 states and the District of Columbia announced they were suing the Trump administration to reinstate the CSR payments. "It’s hard to know how this is going to play out," said Sabrina Corlette, a professor at the Center on Health Insurance Reforms at Georgetown University. "Either way, it's incredibly disruptive and will cause mass consumer confusion and anxiety." This particular crisis could end tomorrow if the House and Senate wanted. Congress can simply pass a law appropriating funds for the CSRs, which would clear up the legal issues that prompted the White House to cut them off. "It would resolve so many problems all at once that it makes your head spin that Congress didn’t do this in January," Joe Antos, a scholar at the right-leaning American Enterprise Institute, told NBC News. In fact, some Republicans were already working with Democrats to achieve this goal. Sen. Lamar Alexander, R-Tenn., who chairs the HELP committee that has jurisdiction over health care, has been negotiating for weeks with Sen. Patty Murray, D-Wash., on a bipartisan package. In the House, a group of moderate Republicans and Democrats have their own plan. Any deal would likely require Democrats to accept modest changes to Obamacare, like allowing more barebones plans and making it easier for states to tweak their own health care system. But it's not clear Trump would sign such a bill. By his telling, the president is confident voters will blame Democrats for any chaos in Obamacare, so much so that they will be forced to negotiate over repealing the law. Many conservative members are likely to oppose any bill to stabilize Obamacare's exchanges on similar grounds. But the White House’s strategy rests on a very questionable political assumption. Polls by the Kaiser Family Foundation during the health care debate found large majorities wanted Republicans to fix Obamacare rather than encourage it to fail to prompt repeal, and that they plan to hold the party that controls Congress and the White House responsible for any problems going forward. "They can’t pass the buck," Antos said.